Hailing from both the Caribbean and Amsterdam — siblings Andy & Dorothy Sherman, better known as Shermanology are set to embark on a whole new chapter in their illustrious career - returning to their roots with a unique blend of soul, jazz, funk, and vocal house. 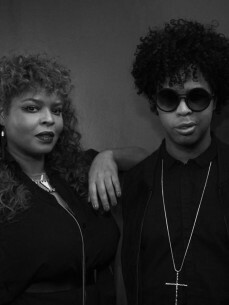 Under their new brand, “The Phylosophy”, Shermanology will be showcasing their true love for groovy, vocal and accessible house music showcasing Dorothy’s soaring vocals and Andy’s bass-loving beats. Shermanology’s music took off in 2011 as they featured on Avicii’s/Tom Hang’s “Blessed” followed quickly by their collab with Afrojack - the massive hit “Can’t Stop Me”. These tracks made their voices heard at all the main stages of electronic music festivals, and took them on a whirlwind tour around the globe. Soon after, the duo started feeling limited by what was becoming an EDM trend, as it took away a key element of their music - soul. For Andy & Dorothy, it came down to one question: “if they took away the big crowd, would they still like the music?” Answering that question became difficult, which made them realize they wanted to bring it back to the basics - to that Motown sound they grew up with, and that vocal house music that brought Shermanology together in the first place. For the past six months, they have been working on their upcoming release. “The Phylosophy EP” is set for release September 18, 2015 on the Dirty Soul label which also launched the phenom Bakermat. The EP features amazing vocal crossover records like “Sweet Surrender” & “Old Skool Dayz” but still has the great brooding & groovy club track “What you Wanna Do” for the DJs to spin. Consequently, the “Phylosophy” brand will also be the name of their new radio show, podcasts and special events most notably being held again this upcoming ADE in Amsterdam on October 17th at the renowned Jimmy Woo. 2015 is the year Shermanology bring back the groove, bring back the soul and share their new “Phylosophy” with all who are willing to listen, learn, dance and sing along.